For those who can't get enough of Major League baseball cards, Topps has created a new set of over-sized cards. 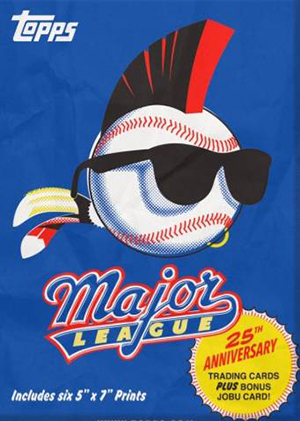 2014 Topps Major League 25th Anniversary is a set of six online-exclusives that come packaged in their own retro-style wax pack. 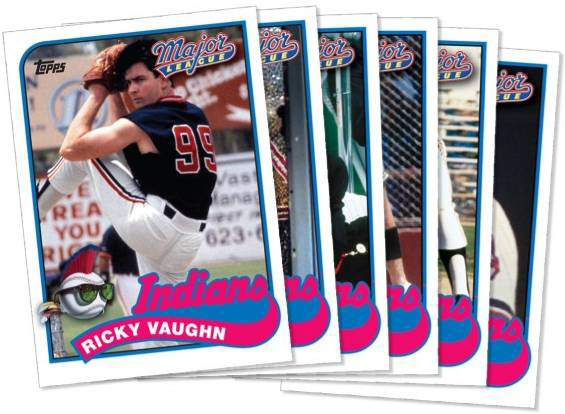 Building off of the inserts found in 2014 Topps Archives Baseball, the set has all five of the characters in the autograph portion of the set (these aren't signed), including Ricky Vaughn (played by Charlie Sheen). 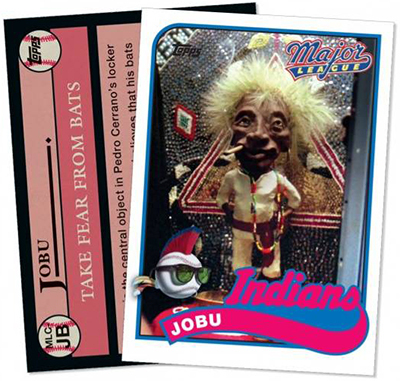 The sixth card is an exclusive of Jobu, Pedro Cerrano's good-luck charm from the movie. Each card in the special release measures 5" x 7" and is printed on vintage-style stock. The wax wrapper the limited edition cards come in has the Major League logo.